Downhomer launches a new program offering our subscribers more benefits than ever before. Now readers not only save money off newsstand prices by subscribing to Downhomer, they're now privileged members of the V.I.P. Club as well. For the $39* V.I.P Club membership fee, members receive a one-year (12 issues) subscription to Downhomer magazine, a full-colour 16-month Downhomer calendar delivered with the December issue, and a V.I.P. discount card that is accepted at hundreds of participating locations. 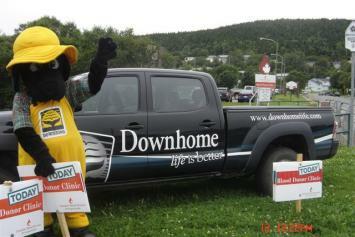 Downhomer President Grant Young is proud of the level of customer service this new program has achieved. "By buying a subscription, not only are our customers getting a great magazine, they can also save hundreds of dollars a year at V.I.P. Club member businesses," he says. The largest number of business partners currently in the V.I.P. Club is located in Newfoundland and Labrador, but the program is catching on quickly and interest in it is coming from farther afield. Grant says, "We already have a number of business members across Canada and membership is growing every month." For the convenience of all our V.I.P. Club members, Downhomer has created a Web site dedicated to the program at www.vipclubaccess.ca, making it easy to search for V.I.P. member businesses, find answers to frequently asked questions or sign up online and become one of our 20,000 V.I.P. Club members. 04/30/10 - Join Moogie Moose, Figgy Ruff and the rest of their furry, fun-loving friends as they set out to explore the fascinating creatures that live under the sea in Melanie Mahers latest book, Moogie Moose & Friends: Atlantic Ocean Adventures. Young readers will learn about whales, dolphins, sharks, sculpins and many other ocean dwellers in this entertaining and educational book. 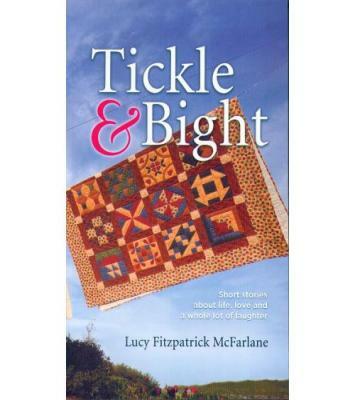 The book is the third in a children's series that explores Newfoundland and Labrador. Moogie Moose & Friends: Atlantic Ocean Adventures is a 24-page book with bright and beautiful illustrations by Amanda Rees, a graduate of College of the North Atlantic Visual Arts Program. As the illustrator for book three of Moogie Moose & Friends, Rees has indulged both her love of nature and cartooning. 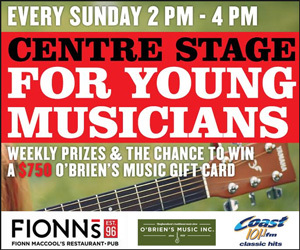 Melanie Maher is a graduate of Memorial University of Newfoundland. She has a unique interest in Newfoundland history, culture and heritage, and through her series of Moogie Moose books, has shared her knowledge and love of the provinces wild animals and places with children throughout the province. 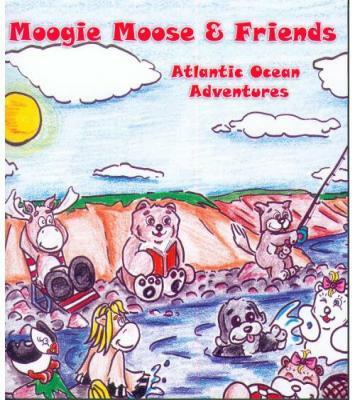 Moogie Moose & Friends: Atlantic Ocean Adventures is published by James Lane Publishing and distributed by Downhome Inc. The book is currently available at Downhome Shoppe and Gallery, online at ShopDownhome.com, and in Downhome- supplied stores across Newfoundland.